The LIVE Stream was a success! We hope you joined us for our live stream discussion this week. We had a lively Q&A session about the script contest, screenwriting advice, our experiences, and more. Thanks to everyone who participated and asked questions. If you missed it, you can still watch the recording here. If you want to skip to specific questions, we've highlighted certain sections in the video. If you live in our area, we hope to see you THIS THURSDAY at our Young Writers Meet-up (see side-bar). Also, in other news, we've extended the deadline of the national script contest to September 30th to give you extra time to complete and edit your script. Even if you're only interested in screenwriting, this book is a great guide to the whole process of making a short film geared especially for young people. Read our review of this book on the FYP blog here. Join us for a Young Writer's Meet-up at the Walpole, MA Barnes & Noble Cafe. We'll meet each other, do some fun activities, and learn about creating stories for the screen. All are welcome - no experience required. 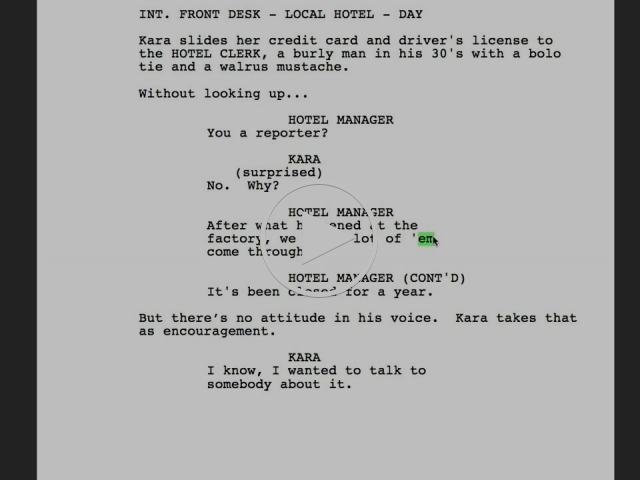 Have you reviewed the guidelines for our script contest? If not, now's the time! Submission Deadline is Sep. 30th. Characters don’t talk to each other, they argue. No pleasant chitchat, please, and don’t have your characters preach to us. Dialogue maintains the tension and dramatic conflict between the characters. Especially if forced to reveal expository information, having characters scream it at each other may be your best choice. Give each of your characters his/her own voice. Watch master screenwriter John August improve a simple dialogue exchange for more impact. Great video! Seventy-eight year old Carl Fredricksen travels to Paradise Falls in his home equipped with balloons, inadvertently taking a young stowaway. Won best animated feature and was nominated for best picture and best original screenplay at the Oscars. Copyright © 2015 Fountain of Youth Productions, All rights reserved.